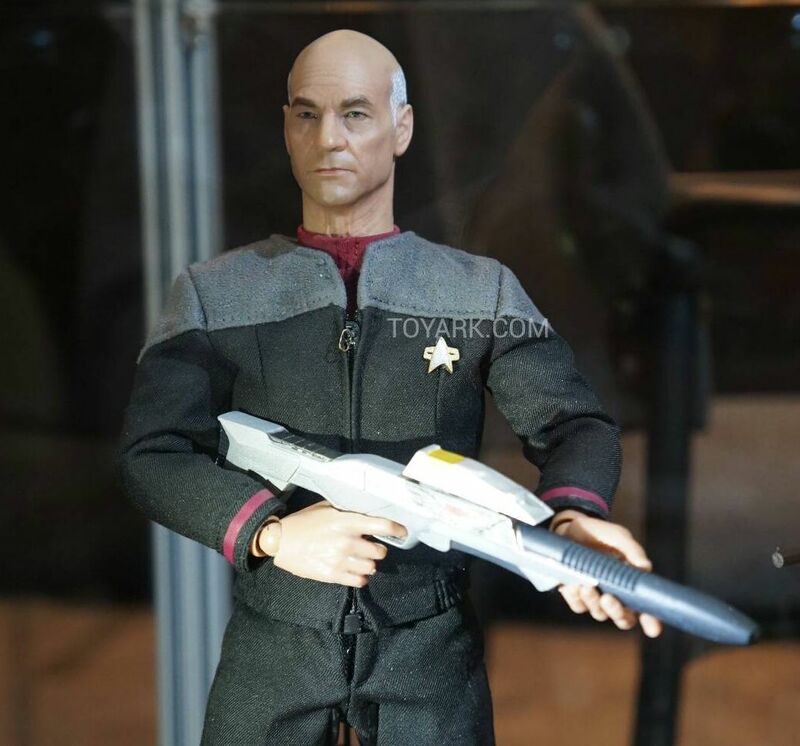 At the Toy Fair over the weekend several companies were showing off new Star Trek action figures, continue below to check out the latest TNG, TOS, and The Big Bang Theory crossover releases. The most impressive of the newly revealed characters comes from QMx, who have turned always sharp eye for detail to Captain Picard, to make a new one-sixth scale (about thirty centimeters tall) articulated action figure. This release is comparable to the Malcolm Reynolds (from Firefly) figure already available to pre-order form QMx, which itself features no less than thirty-eight points of articulation. 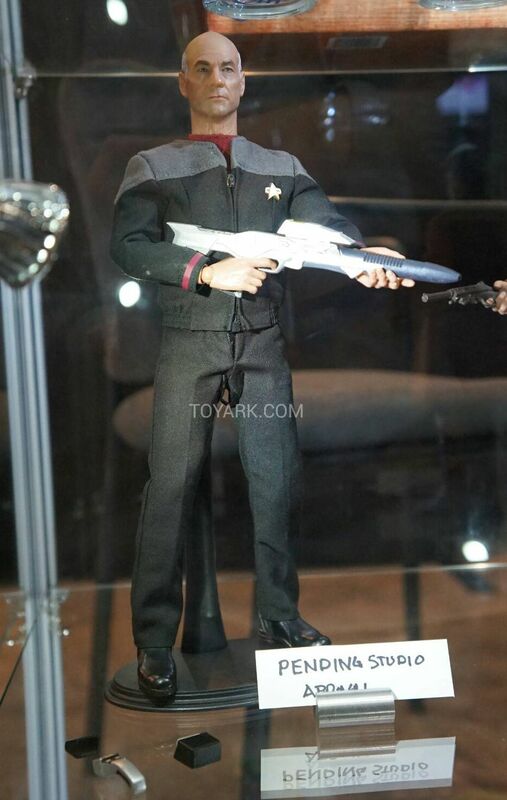 Like Reynolds, Picard has an unnervingly realistic head, and highly detailed fabric uniform, plus a phaser rifle. Images via Toy Ark. Continue after the jump for more new characters from Funko and Bif Bang Pow. Last week Funko revealed their first Star Trek figures in their retro ReAction range, and with Captain Kirk not included it seemed pretty obvious there would be another wave, which was confirmed at the Toy Fair. 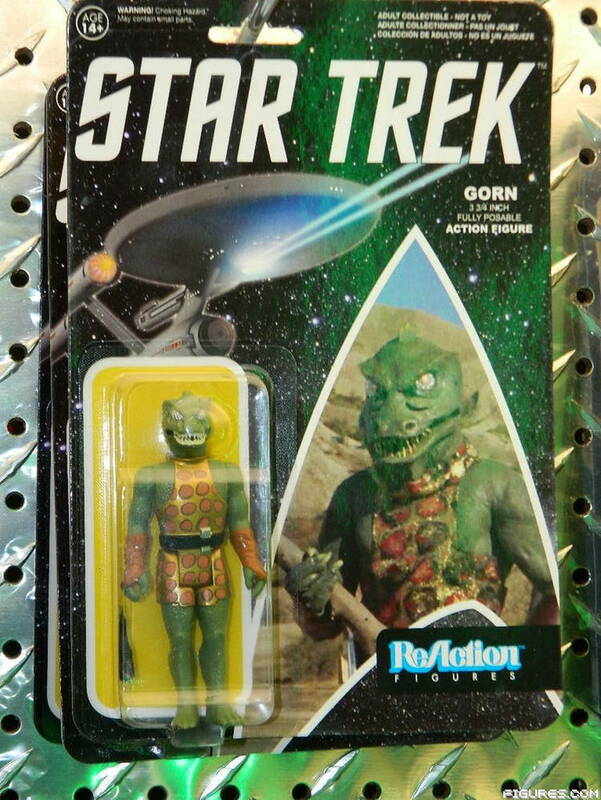 The second set of four will be Kirk, Scotty, Vina, and the Gorn. Images via Figures.com. And if those aren't enough retro three-and-three-quarter inch figures for you, then Bif Bang Pow will be expanding the crew further, with the latest Star Trek/The Big Bang Theory crossover toys. Like the larger scale Mego-style series last year, Bif Bang Pow will be producing all the main The Big Bang Theory characters in Starfleet attire, although they only had Sheldon and Bernadette to display at the Toy Fair. Image via Figure.com. does anyone know where we can buy these? The QMx Picard will at the very least be available directly from them on their website, and most of their products are also sold by other retailers. The ReAction figures are quite widely from wherever you can finding geeky toys. The frst series of these is available to pre-order on Entertainment Earth already. And the Bif Bang Pow stuff is always offered from Entertainment Earth too.